This building was first constructed in 1877 by Mrs. Margaret Grambs, a native of Bavaria. 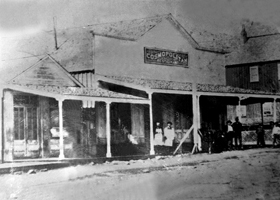 rebuilt on a larger scale and run on by Mrs. Grambs as a restaurant until 1894.
utensils to Delamar, Nevada, a gold mining town where her nephew Edward F. Frudenthal was involved. dismantled, leaving its crude stone foundations which were soon overgrown with sagebrush and cactus. 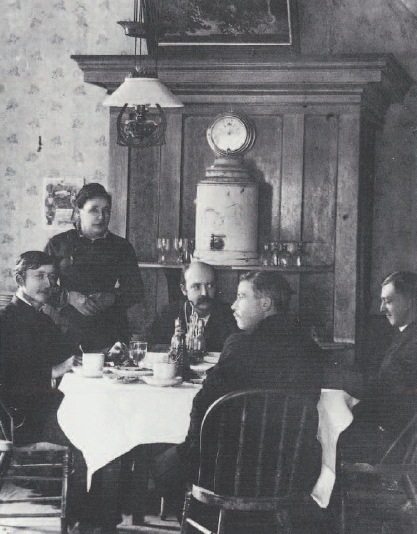 foundation of the restaurant existed at that time. appears much as it did back in the late 1800s. It served European cuisine until it was closed in 2010. The building is currently owned by Washington County and is often used for community events. 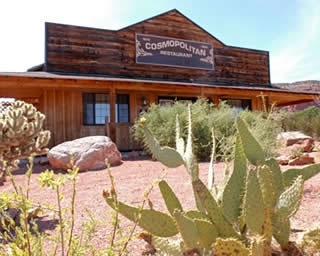 It can also be rented for private events - see the Silver Reef Museum for details.